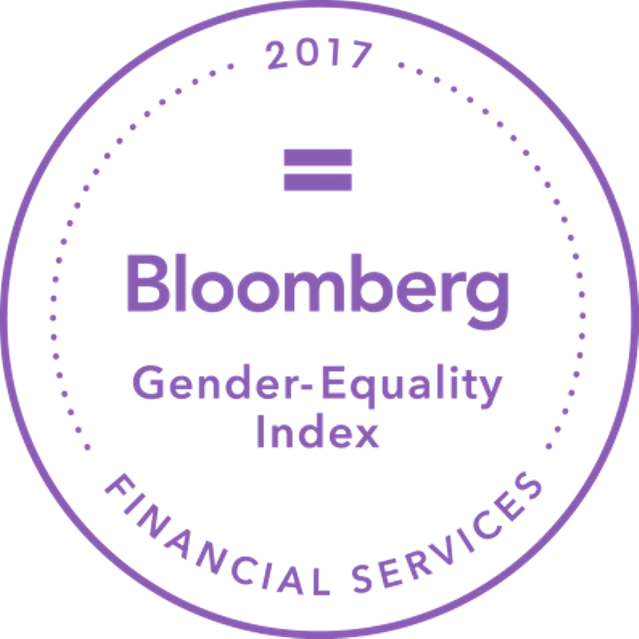 MUFG has been named as a member of the 2017 Bloomberg Financial Services Gender-Equality Index ('BFGEI'), one of 52 companies to be ranked. The BFGEI provides investors and organizations with unique insight into the statistics, policies, product offerings and external engagement driving firms' commitment to building gender-equal workplaces. Firms including MUFG who are ranked on this year's index scored at or above 60 points, a global threshold established by Bloomberg and its partners to reflect disclosure and the achievement or adoption of best-in-class statistics and policies. “Companies are increasingly focused on managing operational risks, including the attraction and retention of employees. As investors look for new drivers of risk-aware alpha, the demand for data around gender equality and other social and governance metrics continues to grow. The BFGEI brings greater transparency to the practices and policies crucial to managing those risks and attracting investor capital." The 2017 BFGEI recognizes firms headquartered in 17 countries, expanding to Australia, Brazil, India, Japan, Hong Kong, Malaysia, Mexico, Sweden and Turkey. All demonstrated dedication to disclosure and best-in-class social policies and practices, providing Bloomberg with data across areas such as gender-equal compensation, supplier diversity programs, and retention rates of women clients.